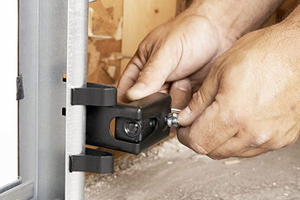 Troubleshooting issues with your garage door and openers. We sometimes take for granted how hard our garage doors work for us day in and day out….that is until they break. A lot of garage door troubles can be handled quite easily by the homeowner without the need of a professional. If you are experiencing problems with your garage door or your garage door opener please take a look through this troubleshooting guide and maybe you can fix it yourself without the expense of a technician. If you find that you still need help please feel free to call us any time. We would love to help you out. I hear squeaking sounds whenever I open or close my garage door. There are a few reasons why this could be happening. The most likely culprits are: Your springs could be rusty, The lubrication could be breaking down, Or there could be something stuck in or around the track. Of course there are many other less likely potential causes so please don’t hesitate to call us for assistance. My garage door won't go down anymore. This is usually caused by something blocking the sensor. Make sure there are no leaves, toys, brooms or other objects interfering with the sensor that is attached near the bottom of one of the side rails. There are few things that can cause this. Here are a few along with a recommended solution.